Amsterdam, with one of the lowest unemployment rate amongst the European cities and welcoming locals, is certainly a great relocation destination for expats to consider. Amsterdam is the capital city of the Kingdom of the Netherlands and is the most populated city with a population of more than 7 million as of October 2014. Out of the 7 million people, 811,000 are only within the city limits, with an estimated population of 1.1 million in the urban areas and an estimated population of 1.6 million in the greater metropolitan area. The capital city has an extensive network of transport made up of buses, trams, canals, and trains. Expats moving to Amsterdam will also be pleased to know that cars are discouraged in the city centre which is why cycling is very popular. The city has dedicated bicycle lanes anywhere you go. Another awesome thing about the transportation system is that the trains extend to the countryside, which makes owning a private vehicle unnecessary. 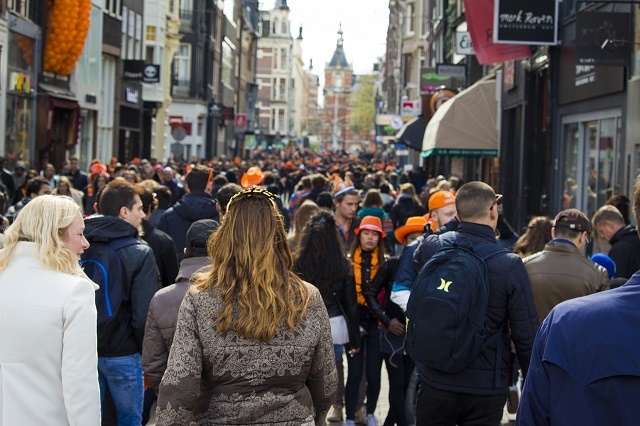 Expats moving to the city will find that the stereotypical Amsterdam lifestyle is somewhat true, though not as lenient as you'd think when it comes to drugs and prostitution. Whether you are moving to the city for work, vacation or retirement, Amsterdam has something to offer. Aside from being a leading economic centre, newcomers can indulge and satisfy their appetite for collections, stunning architectures, and exciting nightlife. Amsterdam is unlike any other city in the world. Perhaps, due to its laid-back atmosphere, thousands of tourists every year find themselves falling in love with its unique vibe over and over again. It has a charm that can only be explained through experience. Known as the “the Venice of the North,” the city is truly very romantic and beautiful in its own way. Amsterdam has a temperate climate and winter temperatures seldom go below 0°C (32°F). Summers are moderately warm but seldom hot. The average high in August is 22°C (72°F). On average it rains about 175 days a year in the city but it’s usually only light rain. The months from October to March tend to be cloudy and damp. Amsterdam may not be the country’s centre of politics, but it is the largest city in the Netherlands that has the highest foreign population. Like many expats from all over the world, you will also fall in love with the idea of moving to this city because of its warm, sunny climate, beautiful canals, historical museums and lots of breathtaking scenic views. Amsterdam is overflowing with natural beauty and local culture that some may find rare especially in a city that is progressing towards modernisation. Its economy is considered to be the most successful in the country where you can find promising career opportunities in business, finance, trade and tourism industries. So if you’re eager to land that dream job and work in Amsterdam’s famous skyscrapers such as the Phillips headquarters or the world famous Rembrandt Tower, here are some tips that’ll surely help you out. Housing is one of the top boxes in your checklist. The search for your new home in Amsterdam can start even if you are not yet in the city. It's best that you browse through online portals that have real estate advertisements so that you can create a list of potential accommodations and get an idea of how much to expect when it comes to the rentals prices. You have two types of rental options to choose from: sociale huurwoningen (Public) and particulier (Private). The average wait time for the public sector is between 5-10 years, so it’s quite impossible to get a property on a short notice. However, there are many accommodations available in the industry, and the fastest way for you to find one is to hire a makelaar or a real estate agent once you arrive. A broker is very familiar with the neighbourhoods and has a wide range of options in the local housing market. When moving abroad, you should always expect that the utilities are not part of your rental pay. In Amsterdam, the average monthly cost of your necessities like water, electricity, gas and garbage collection is €150. There is also unlimited internet connection in the city which costs about €35 and mobile service where local prepaid calls are charged at €0.20 per minute. 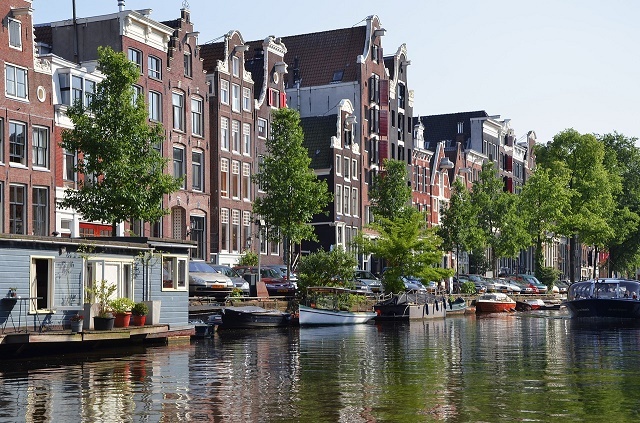 There is a constant high demand for properties in Amsterdam which causes the prices to go up and the search for quality housing quite hard, especially for expats. Apartments are the most common type of accommodation in Amsterdam where you can negotiate for a short term or long term lease agreement, depending on how long you intend to stay. Landlords usually ask for a residence permit and deposit which equals to one to two month’s rental to secure a unit. Some expats choose to live in the city centre, but keep in mind that apartments here can be pricey but conveniently near to work offices and amenities. The price of a one bedroom apartment in the metropolitan starts at €1300 per month and €2350 for a three bedroom unit. You can also find expat residences in the outskirts where the rents are cheaper, and the spaces are bigger. A one bedroom flat in the neighbouring towns can cost around €960 monthly, and a three bedroom unit is roughly €1600 per month. 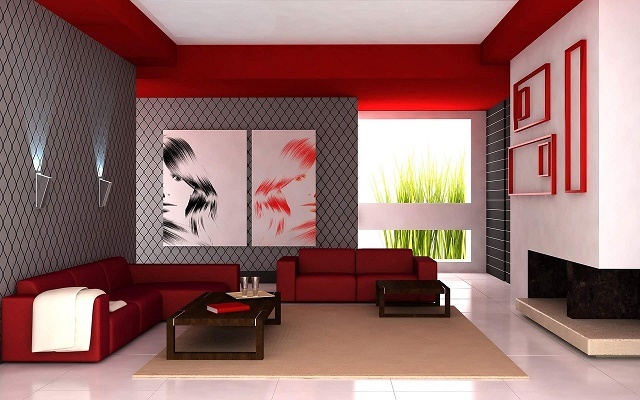 You can find fully and semi-furnished apartments in Amsterdam, but if you are going to move into an unfurnished one then you need to import some of your furniture, appliances and belongings. There are international shipping and removal companies that provide door to door services to Amsterdam, and it's best that you hire one of these professionals to ensure an efficient delivery. They will take care of the whole moving process until the shipments get to your new address. It takes about 7-17 days, depending on the origin, for the containers to reach the Port of Amsterdam where local customs officers will conduct an inspection of the cargos. Click here to learn about the city’s import procedures. If you are coming from an EU state and plans on bringing either a cat, dog or ferret, you are required to present your pet’s updated Pet Passport. Quarantine period depends on upon the discretion of a Customs Official after performing a physical examination of the animal. As for pets coming from non-EU countries, owners are required to present a Rabies Vaccination Certificate issued at least a month before import and a Health Certificate signed issued by a licensed veterinarian at least ten days before arrival. Amsterdam is a very liberated and multi-cultural country filled with many possibilities that you are soon to discover. This place is not only exciting for the young and single but also to those with families. You will be pleased to know that you and your children are about to start a life in a city overflowing with outdoor activities, great picnic spots and fabulous attractions that are great for any bonding. This bustling capital of the Netherlands has always been a magnet for thousands of expats from around the world because of its diverse communities, beautiful sceneries, and growing economy. However, securing a smooth relocation to Amsterdam takes more than just finding a nice home and landing a great job. There are other things working expats need to know to easily adjust to a new life in the Venice of the North. Alstublieft which means ‘please’ or ‘if you please’ is one of the most important Dutch words that expats should know and learn to use all the time. You can also use Bedankt (Thanks), Goedemorgen (Good Day) and Goedenavond (Good Evening). But overall, people in Amsterdam are very fluent in English so there’s not much worry about language barrier. Learning even a little of their official language will still mean a lot because it shows extra effort in reaching out to the locals. The Dutch are known to be very straight forward when it comes to making transactions and giving instructions. They do not beat around the bush so they also expect expats to do the same since they have little tolerance for indirect conversations. Avoid being late for work, meeting or any appointment because they are very particular when it comes to punctuality. To maintain a professional reputation, always arrive on time. Chivalry is also not a common practice in Amsterdam so do not expect a Dutch to hold doors open and prepare for a daily battle of push and shove when getting on/off the tram. Several shops in Amsterdam close by 6pm except on Thursdays. However, there are still many places that you can go to such as De Jordaan, Nine Streets and De Pijp. These areas have restaurants, pubs and cafes that are mostly open until late night. There are also some neighbourhood markets for flowers, foods, fresh vegetables and local produce. Ten Katemarkt, Dappermarkt, Nieuwmarkt and Albert Cuypmarkt are the most visited markets in Amsterdam that are open from Mondays to Saturdays. Whether you are single or relocating with your family, there are tonnes of destinations in Amsterdam that are worth seeing during weekends. Kids can ride a bicycle around the city or have a picnic on Vondelpark. The Artis Royal Zoo is also a good spot filled with various animals and to the Tun Fun Speelpark, an indoor play area best for toddlers and children. Art lovers will find a haven in the famous Rembrandt House and Van Gogh Museum while those who want to learn more about Dutch History can go to the world renowned Ann Frank House. Amsterdam or also known as the Red Light District is a relatively safe place to be. But like any other cities abroad, there are still some precautions that need to be exercised. Do not roam the dark alleys alone at night or act like you are new in the area as it can draw the attention of robbers and pickpockets. Always be mindful and cautious of personal belongings when walking around Amsterdam. Amsterdam is a breathtaking city with so much to offer. With proper preparation and adequate knowledge about a new destination, expats can rest assure that everything will gradually fall into place.